Korapay is a new cross-border payments service in the US, aimed at connecting Nigerian migrants with their relatives back home. The firm is currently open to 12 states in the US: Texas, Nevada, California, Pennsylvania, New York, Michigan, Georgia, Illinois, Florida, Connecticut, New Jersey & Massachusetts. The cross-border service says it “has a record transaction delivery time of about 60 minutes”, and that anyone in these states can send money directly to any naira bank account in Nigeria. It also claims to offer rates up to six times cheaper than other similar services. Expansion is looming just over the horizon, as it has been announced that others states in the US, Canada, the United Kingdom, and Europe will be opened in the coming weeks. 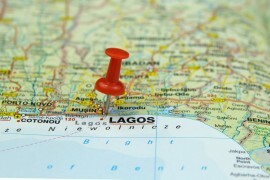 Korapay is based in Lagos, Nigeria, and is led and was found by Dickson Nsofor, CEO.